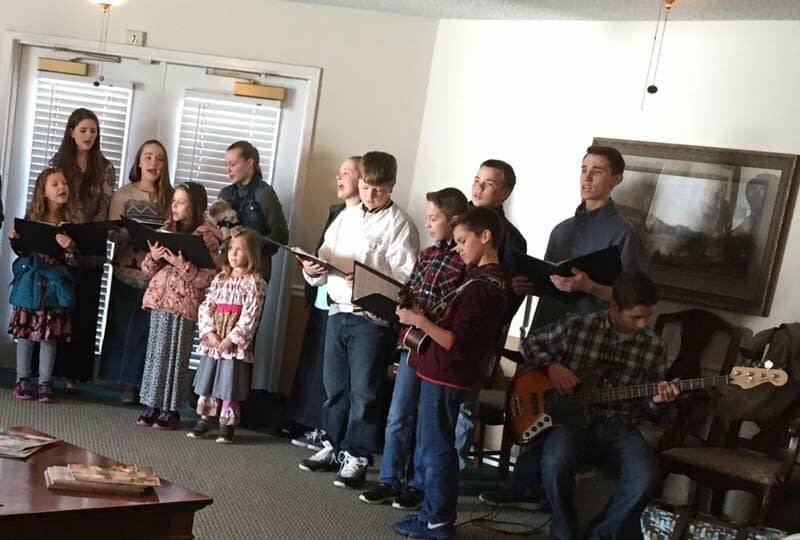 Recently, a group of homeschool students performed for the residents of Morning Pointe of Calhoun (GA). The assisted living and Alzheimer’s memory care community’s residents enjoyed singing along with the students as they performed classic hymns. The students visit Morning Pointe once a month to entertain the seniors. If you are interested in becoming a part of the intergenerational programming at Morning Pointe of Calhoun, contact Lisa Caldwell by phone at (706) 629-0777 or by email at calhoun-led@morningpointe.com.